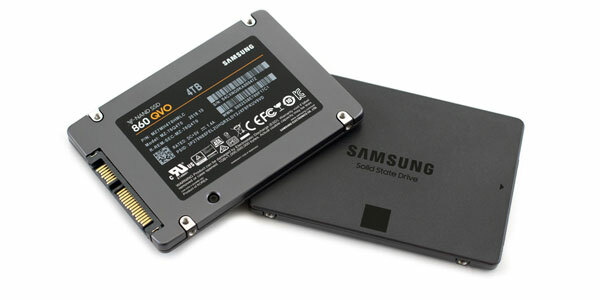 Samsung Electronics has launched the latest product in its consumer solid state drive (SSD) lineup - Samsung 860 QVO SSD. The new SSD series features up to 4TB of storage capacity. It is built on the company's high-density 4-bit multi-level cell (MLC) NAND flash architecture and Samsung claims that the 860 QVO makes "terabyte capacities more accessible to the masses" as they come with affordable price tags. The new 860 QVO SSDs are essentially aimed at users who have big storage requirements but do not want to pay the huge costs. The cheapest option in the lineup provides 1TB of storage for $149.99 (roughly Rs. 10,600). The Samsung 860 QVO is a SATA-based 2.5-inch SSD that comes with 1TB, 2TB, and 4TB storage options. Samsung says that the 860 QVO SSD offers both high capacity and performance at an affordable price, eliminating the need to use a combination of an SSD and an HDD for booting and storage. Notably, the 860 QVO has the latest 4-bit V-NAND and MJX controller that can provide read speeds up to 550MBps and write speeds of up to 520MBps. Additionally, the SSD comes with Intelligent Turbo Write technology, that is claimed to accelerate speeds while "maintaining high performance for longer periods of time." The endurance of the SSD is rated at 1,440 TBW (terabytes written) for the 4TB drive; 720 TBW and 360 TBW for the smaller 2TB and 1TB drives, respectively. The Samsung 860 QVO SSD will be available globally from December 2018 and, as mentioned, the prices start at $149.99 for the 1TB model. It also carries a three-year limited warranty. "Today's consumers are using, producing and storing more high-resolution files than ever, including 4K videos and graphics-intensive games, escalating demand for greater capacities and performance in storage devices," said Dr. Mike Mang , Vice President of Brand Product Marketing, Memory Business at Samsung Electronics. He added, "Samsung continues to lead the move toward multi-terabyte SSDs with the introduction of the Samsung 860 QVO, delivering fast performance, reliability and value to more consumers around the world."